Tickets are $15 each ($5 for students and seniors) and are available at the door. or forward to your friends! 5. London Bridge is Fallen Down! 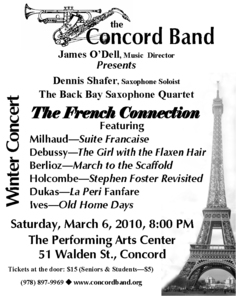 Mail: Send a check in the amount of $15 per ticket ($5 for children 12 and under or seniors), made out to "The Concord Band" to the address at the top of the page. Be sure to include your phone number for confirmation, and enclose an SASE if you would like the tickets mailed to you rather than picking them up at the concert. Phone: Leave a voice message at the phone number at the top of the page. Be sure to specify how many tickets, and leave your name and phone number for confirmation. 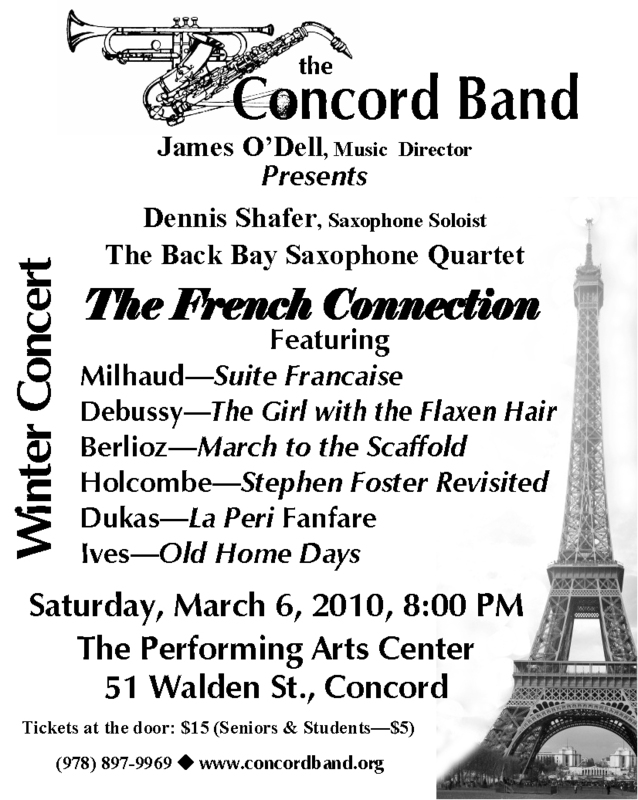 Email: Send a message toConcord Band reservations. Be sure to specify how many tickets, and include your name, email address and phone number for confirmation. If you place your order by phone or email, you MUST still mail a check in order to hold the tickets. You may also include an SASE in order to receive your tickets before the night of the concert. Any unpaid tickets will be subject to re-sale at the door on the night of the concert.